“Health For All” is the theme of this year’s World Health Day 2018. To mark the occasion and to highlight the role that online consultations can play in improving GP access, videoDoc, the Irish online GP service, will be offering free online consultations to all members of the public* on World Health Day, Saturday the 7th of April (from 8am-10pm). To avail of this offer, simply use the coupon code “WHD2018” on the payment page of the videoDoc app or the web platform. An appointment is not necessary for a consultation and on a typical day wait times are less than 10 minutes. “One of the main messages of this year’s WHD is that health services should be designed around people. Online consultations can play a major role in providing a more personalised service that caters to the availability of patients. Online consultations are available to patients where ever they are, work, college, home, from 8am until 10pm, seven days a week.” said Mary O’Brien, CEO and co-founder of videoDoc. “We use technology in every aspect of our lives so it makes sense this is expanded into how we deal with our health and wellbeing.” she added. All videoDoc GPs are Irish Medical Council registered with at least two years service on the Specialist Register and have been fully trained to provide remote health services. *videoDoc does not provide consultations to children under the age of two. videoDoc is Europe’s fastest growing online doctor service offering consultations anywhere you can access the internet. Using a computer or mobile device you can have a secure video consultation with a GP, without the need to make an appointment. Access to the videoDoc online doctor service is through www.videodoc.ie or the videoDoc iOS or Android app from 8am to 10pm, seven days a week. The service costs €20 per consultation with annual subscriptions available at €35 for an individual and €110 for a family of four giving the benefit of unlimited consultations and no hidden fees. 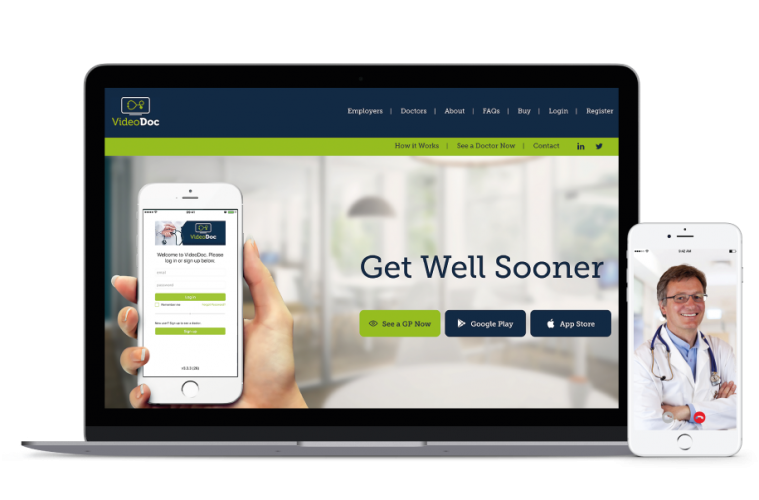 Founded in 2014, videoDoc helps doctors and patients redesign the healthcare system, and is currently partnered with a number of high-profile providers and businesses, including Vhi Healthcare, Beaumont Hospital, Wrkit and Clanwilliam Healthcare in Ireland.